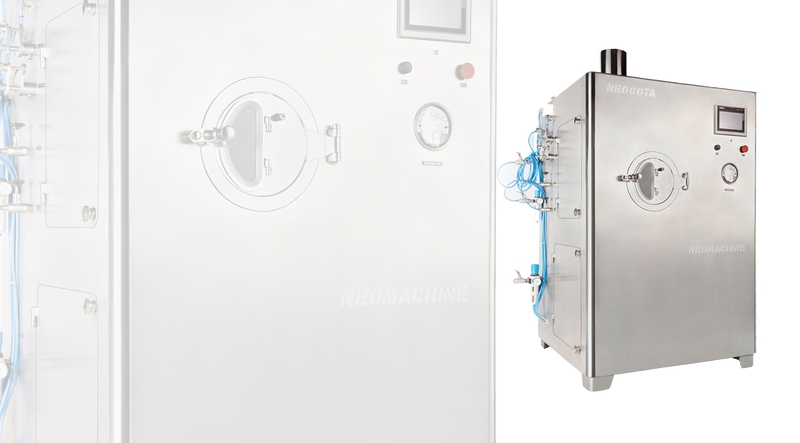 We, at NEOMACHINE, with our vast experience in coating technology, developed most up-to-date Automatic Coating System suitable for coating of pharmaceutical tablets and pellets. 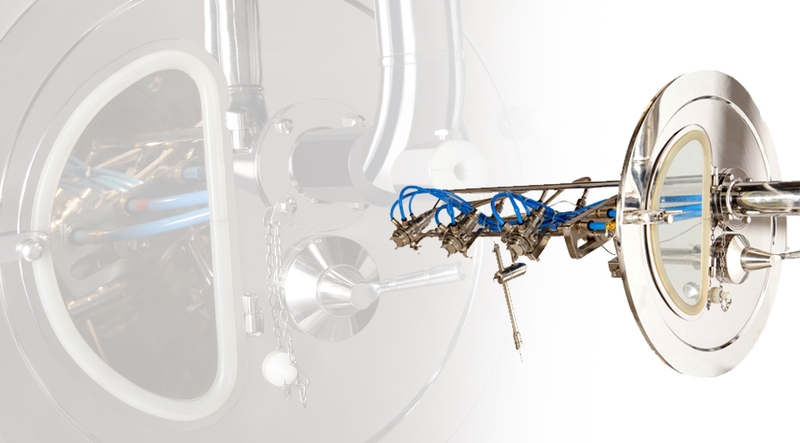 The latest models of NEOCOTA Automatic Coating System offer comprehensive compliance with CGMP criteria and all international regulatory standards. 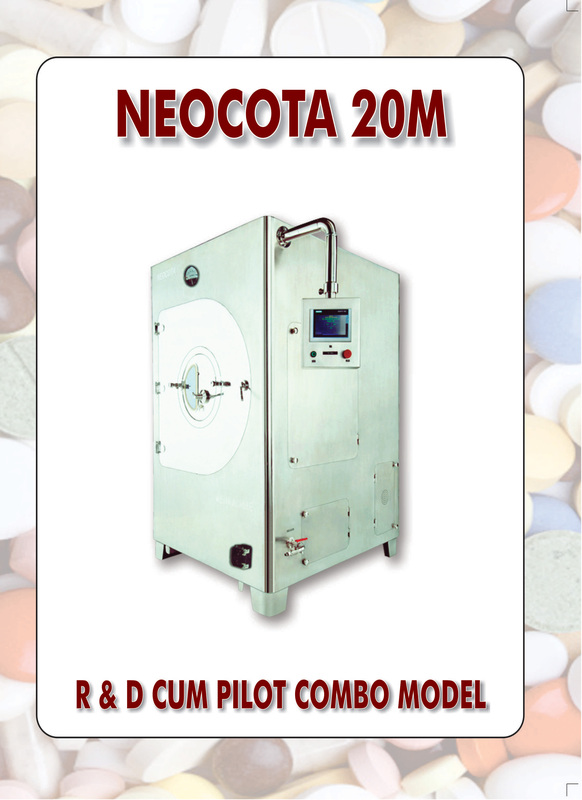 The improved flexible design enables new models of NEOCOTA to perform in national and overseas environments without any system modification. 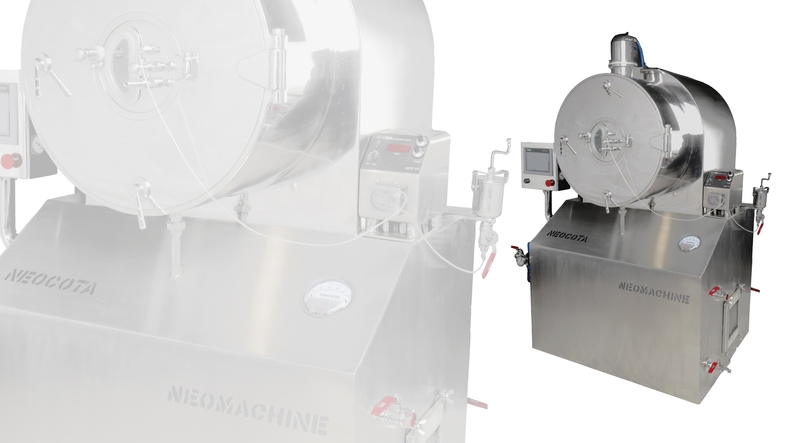 NEOMACHINE also manufactures Pellet / Granule Coating System in India. 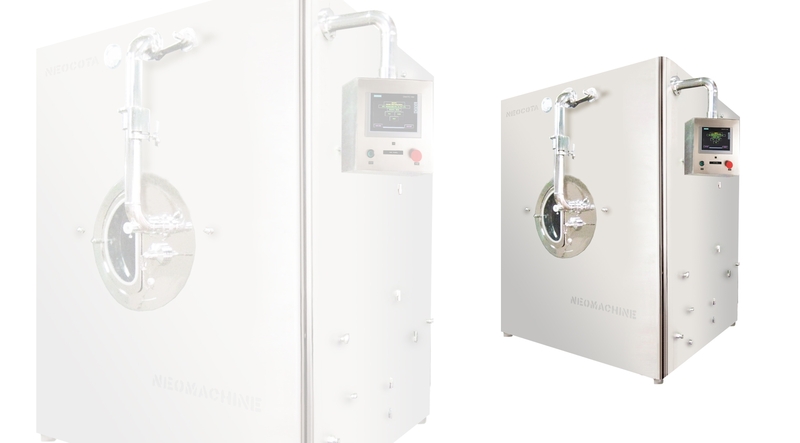 Our Tablet and Pellet Coating Systems are working efficiently at different formulation plants. NEOCOTA has its use in the food and confectionery industries. It is suitable for soft sugar, hard sugar and yoghurt coating. All types of 'centres' such as nuts, raisins, moulded centres, chocolates and chewing gums can be coated in NEOCOTA. NEOCOTA pellet coating system has added application in animal feed, chemical and agricultural fields. Automatic Coating System having capacities ranging from 500 gms to 20 kgs by means of four interchangeable Pans of various capacities. 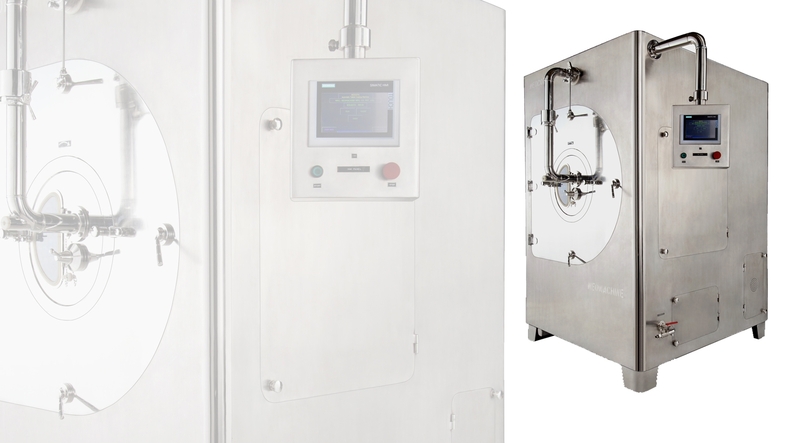 This particular model has inbuilt flexibility to vary the coating parameters from batch size of 500 gms to 20 kgs in the same equipment (by changing the Pan and other few parts). No modification of overall system is required with the changeover time being less than 30 mins.